Spinit burst onto the scene in late 2016 to much fanfare, boasting a huge library of games and a rather handsome collection of bonuses and promotions. The brand may have been born less than a year ago, but the brains behind it have a wealth of experience in online casino gaming. The owner of Spinit is Genesis Global Ltd, who are responsible for a number of different casino platforms including the ever-popularCasino Cruise , amongst others. As such, Spinit comes with great financial backing and plenty of industry knowhow behind it. Holding licenses gained from the UK Gambling Commission, Malta Gaming Authority and Curacao eGaming, Spinit Casino can be played in numerous languages, including English, German, Swedish and Norwegian, and their headquarters can be found in the heart of Malta’s gaming district. One of the key reasons why Spinit are able to offer such a huge selection of casino games is because of their partnerships with some of the leading slot game providers. Software developers like NetEnt, Microgaming and Play'n GO manage the backend of Spinit, and the consequence of that is the bounty of new releases and classic titles available on the site. As a shiny new entity it will come as no surprise to learn that Spinit have taken the needs of all of their players seriously, hence why their site features cross-compatibility with a number of different platforms and devices. Casino games can be streamed and enjoyed instantly on desktop, laptop and on smart devices, with a dedicated browser site available on tablets and mobiles. If you are an iPhone, Android or even iPad user, then there is a Spinit app to download which features a huge selection of games from their back catalogue. The user experience at Spinit is excellent, and while there is plenty of scrolling to be done – a side effect of having more than 1000 games on site – that does not detract from its usability. Site navigation is made rather easier by the introduction of smart categories, which break the game library down into type of game very nicely. 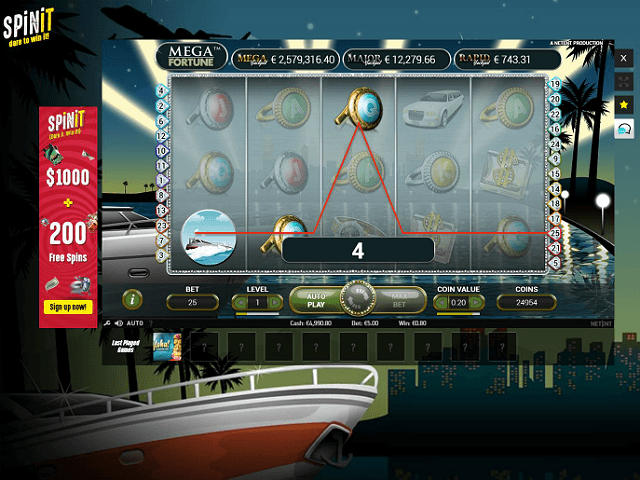 Alternatively, you can search for jackpot games, new releases, live casino… that’s the beauty of simple navigation. Just as importantly, managing your account is easy from the clever dashboard too. As selections of a lot of games go, this has to be up there with the most comprehensive in the industry. Spinit is truly a slots specialist that offers more than 1000 slot titles to their players – if there is one thing you do have here it is options, and lots of them. There will be only a few slot-lovers, if none at all, on this planet that won't find at least one slot game at Spinit Casino they enjoy. The selection at Spinit is what separates this budding casino from the other recently launched slot sites looking to crack into the always competitor world of online casinos. Does Spinit Offer Progressive Jackpot Slots? Absolutely! Spinit offers an in-depth collection of progressive jackpot slots, including Starburst, Mega Fortune and Major Millions, to name just a few of the jackpot slots on offer. In addition to progressive slots, Spinit also offers progressive jackpots in classic casino games too, including Keno and Casino Stud Poker, but it's clear to all the jackpot slots are the real strength of the this offering. Can Players Demo Spinit Slot Games for Free? This is the great thing about Spinit; free slot games are in abundance! Whenever you hover over a game you will see the ‘play for fun’ option appear – give this a click and you’re on the way to free slots heaven! Demo slots are a great way to get a handle on a specific game before parting with any cash, and the demo slot games on offer at Spinit include the NetEnt Rocks series featuring Motorhead, Guns 'N Roses and Jimi Hendrix, plus any more. The list of depositing and withdrawing payment options available at Spinit is perhaps not the most vast you will ever see, but it does still include a number of the key merchants. You can make your casino deposit via VISA, MasterCard, Skrill, NETELLER and a variety of other e-wallet systems, and the same payment methods apply to your casino withdrawal too. There are no fees for deposits, although the costs for withdrawing depend on the banking method. The minimum deposit is €10, with a maximum of €5000. Most casinos will offer welcome bonuses to attract new players, but Spinit takes things to the next level: your first FOUR deposits are all subject to a casino bonus! The total can amount up to a cool €1000, which means that this promotion must surely be amongst the biggest and best available to Irish players. There are 200 free spins awarded to new players as well, plus reload bonuses, exclusive offers and tons more. As part of the terms of their UK license awarded by the UK Gambling Commission, Spinit must adhere to all regulation regarding the fairness of casino gaming in addition to keeping the personal data of their players secure and safe, as policed by eCOGRA. They do this in two ways: utilising a Random Number Generator (RNG) to ensure their games are completely unbiased, and the implementation of 256-bit encryption technology to keep all private information safe from prying eyes. 18+.New players ONLY. First deposit only. Min deposit €20. Max bet €5 while welcome bonus is in play. 35x wagering requirement. 1st Deposit - 100% up to €200 + 25 Extra Spins on Starburst™. 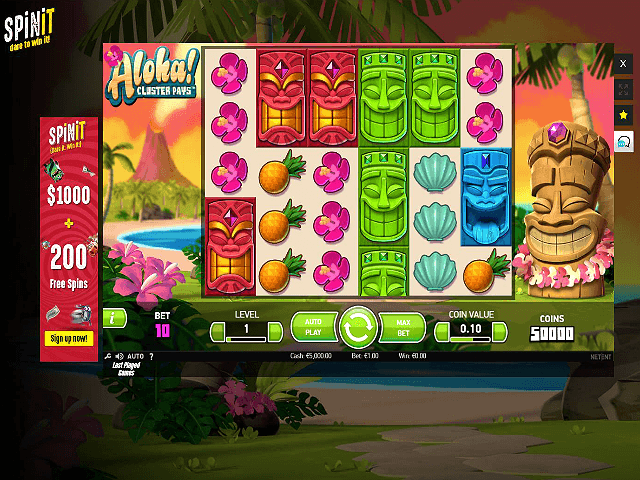 2nd Deposit - 50% up to €200 + 25 Extra Spins on Aloha!™. 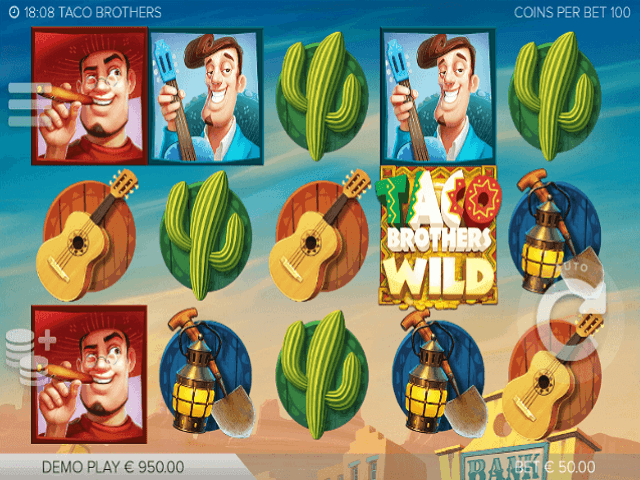 3rd Deposit - 50% up to €300 + 25 Extra Spins on Fruit Shop™. 4th Deposit- 25% up to €300+ 25 Extra Spins on Gonzo's Quest™.